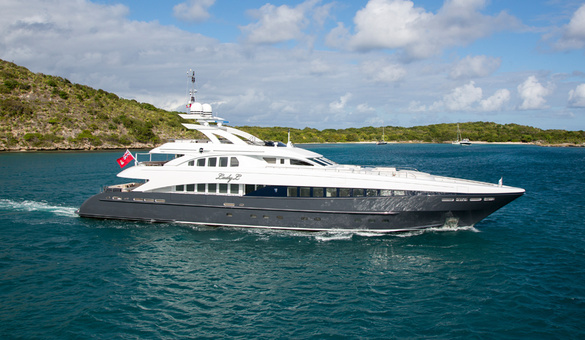 Inflatable fenders are a perfect solution for superyachts. 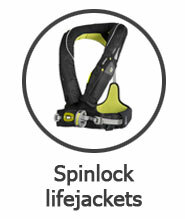 They require very little storage space and are light-weight. More Marine works with a unique system on the fenders with a separate core and a heavy duty cover. The load of the fenders is being taken by the cover instead of the core. 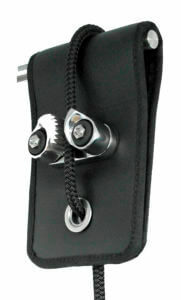 The fenderline is attached with loops to the Cordura cover. 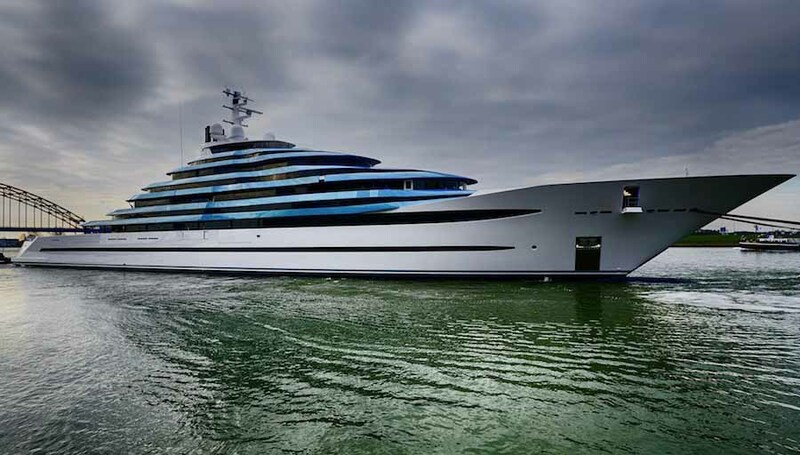 Therefore they don’t have any SS parts which can scratch on the boat. The 4 webbing loops take the load onto the cover, meaning the core is not being stressed at all when pulling the fenderline. 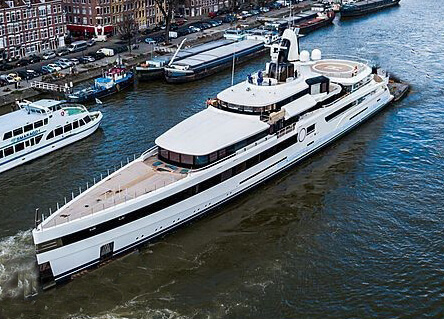 When the fender is being squeezed between yachts, the load is being taken by both the core and the cordura cover, creating a super strong construction. Even better is the fact that the core or cover can be ordered separately when damaged. 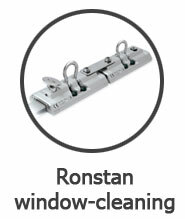 The cover protects the high-grade PVC core from UV radiation so it won’t degrade in time. 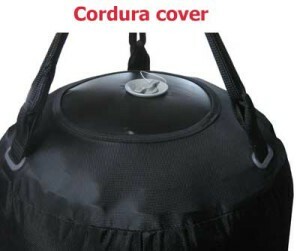 The Cordura cover is very abrasion resistance and easy to clean and maintain. The cover is available in various colors. 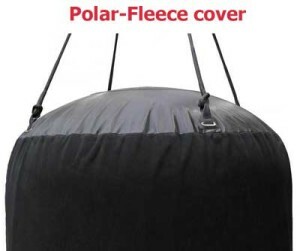 As an option the Cordura is covered with Polar-Fleece. 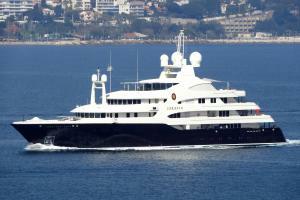 The polar-fleece is very kind to the paintwork of the boat and won’t allow to scratch. 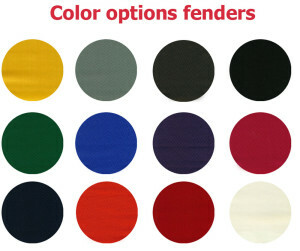 Polar fleece is only available in some standard colors, while the Cordura is available in a variety of colors. 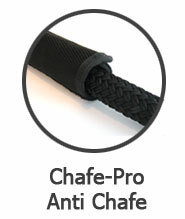 The inflatable fenders are available in standard and custom sizes. 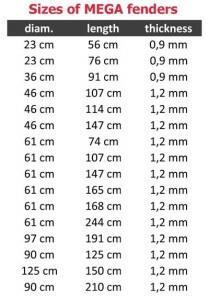 If you ask us for a quote please mention the desired sizes and we will offer you the nearest size available. 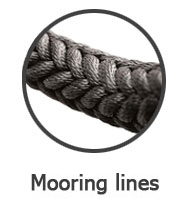 More Marine also supplies standard inflatable fenders. 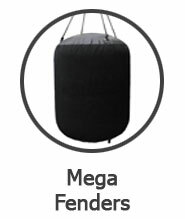 The standard MEGA fenders are a great solution for all-purpose fenders. 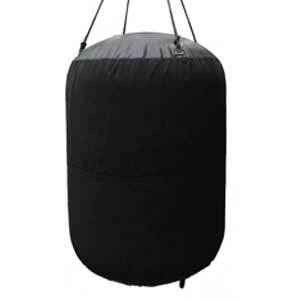 Made out of heavy duty PVC these fenders are extreme strong and durable. 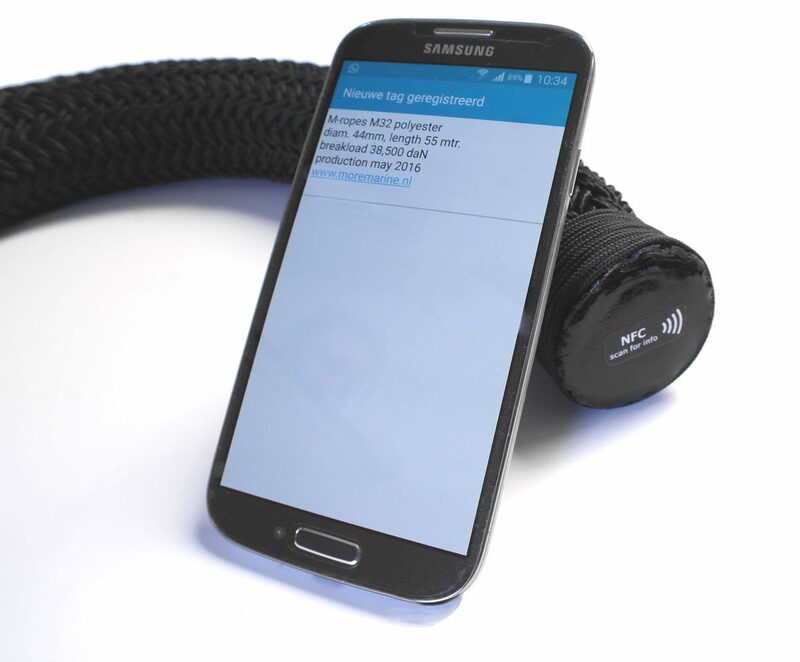 The mega-fenders have a durable SS D-ring on top, assembled with Kevlar thread. 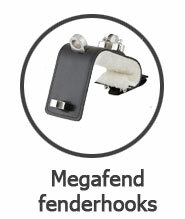 The MEGA fenders are available in black and can be fitted with our fendercovers if needed. Our Mega Fenders are available in standard sizes and various colors. If you need a custom color please ask for the opportunities. Looking for solid fenders? Please visit our Polyform US website.